HQ Trivia (Free) is still doing really well and this is a bit surprising given how some of these fads just straight up die out on the App Store. While there have been celebrity hosts in the past, last week saw The Rock host the show for $300k in prizes. 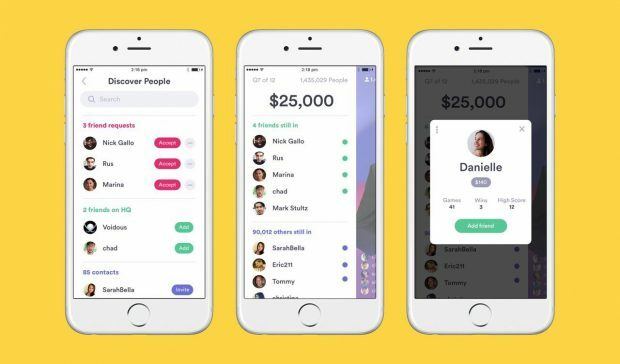 Last week also saw a “Friends on HQ" feature rollout in the UK that makes the game a lot more social. We finally know when this will roll out in the US now. If you aren’t aware, “Friends on HQ" adds a lot that feels like it should’ve been there right from the get go. This lets you search and add friends on HQ from your contacts in addition to seeing which friends are playing and how they are doing. The developers will use this as a base for more features rolling out in the future. Before you raise your arms in the air abour privacy things, you can search for friends within the app and even accept requests within a game from the same panel. This was originally available in the UK and it will be going live in the US at 3 PM ET. If you do regularly play it, be sure to post your username in our forum thread so that more people can add you and play with you.